OA Journal - Minerals is an international journal which aims to communicate to its readers, state-of-the-art knowledge and technologies on minerals. The journal welcomes original researches, reviews and important applications of related analyses(rocks, ores, gems, crystal, calcite, pyrite, magnetite, hematite,etc.). 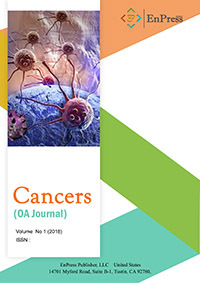 OA Journal - Pharmaceuticals is an international journal which focus on the rapid publication of high quality, peer-reviewed papers on pharmaceuticals. The journal welcomes original researches, reviews and important applications of pharmaceutical related analyses. It covers all aspects of pharmaceuticals. OA Journal - Atmosphere is an international open access, peer-reviewed online journal and a platform for the exchange of all kinds of research and knowledge related to atmosphere. OA Journal - Mathematical & Computational Applications is an international Open Access journal which aims to communicate to its readers, state-of-the-art technologies and methods on mathematical and computational applications. The journal welcomes original researches, reviews and important applications of related analyses. OA Journal - Religions is an international Open Access journal which aims to communicate to its readers, state-of-the-art technologies and methods on religions. The journal welcomes original researches, reviews and important applications of religions related analyses. OA Journal - Symmetry is an international Open Access journal which aims to communicate to its readers, state-of-the-art technologies and methods on symmetry. The journal mainly reports on researches and applications of symmetry in numerous fields, including mathematics, physics, biology, chemistry, architecture, pottery and metal vessels, quilts, carpets and rugs, music, social interactions, etc. OA Journal - Crystals is an international Open Access journal which aims to communicate to its readers, state-of-the-art technologies and methods on crystals. The journal is devoted to the publication of original scientific research results in the form of original research articles, review articles, short communications, case reports, mini-reviews, opinions and letters to the editor. OA Journal - Catalysts is an international journal which aims to create a platform for worldwide experts to exchange their idea about catalysts. The journal welcomes original researches, reviews and important applications of related analyses(heterogeneous catalysts, electrocatalysts, homogeneous catalysts, organocatalysis, photocatalysts, enzymes and biocatalysts, nanocatalysts, tandem catalysis, autocatalysis, etc.). OA Journal - Pharmaceutical Research is an international journal which aims to create a platform for scientists and researched all over the world exchanging today understands of pharmacy. The journal covers the theoretical and applied aspects of pharmaceutical researches. Published material ranges from short, concise research papers to more general tutorial articles of relevant areas. OA Journal - Metals is an open access journal that provides rapid publication of articles in all areas of metals. OA Journal - Forests is an open access journal that provides rapid publication of articles in all areas of forests. The journal is devoted to the publication of original scientific research results in the form of original research articles, review articles, short communications, case reports, mini-reviews, opinions and letters to the editor. OA Journal - Viruses is an open access journal that provides rapid publication of articles in all areas of viruses. The journal is devoted to the publication of original scientific research results in the form of research articles, review articles, short communications, case reports and mini-reviews. OA Journal - Water is an international Open Access journal which aims to communicate to its readers, state-of-the-art technologies and methods. It is a scholarly journal that aspires to publish the upcoming research and technological developments. This journal aims to publish research articles, review articles, commentaries, short communications and case reports on all aspects of water. OA Journal - Nutrients is an international Open Access journal which aims to communicate to its readers, state-of-the-art technologies and methods on nutrients. The journal welcomes original researches, reviews and important applications of nutrients in plant, body, food and other aspects related to nutrients. OA Journal - Materials is an international Open Access journal which aims to communicate to its readers, state-of-the-art technologies and methods on all aspects of materials. The journal mainly publishes papers that deal with research on biomaterials, composite materials, textiles, genetic materials and so on. OA Journal - Remote Sensing is an international Open Access journal which aims to communicate to its readers, state-of-the-art technologies and methods on all aspects of remote sensing. The journal mainly reports on researches and applications of remote sensing in numerous fields, including geography, land surveying, hydrology, ecology, oceanography, glaciology, geology, military, intelligent, commerce, economy, planning, and humanity. OA Journal - Energies is an international Open Access journal which aims to communicate to its readers, state-of-the-art technologies and methods on all aspects of energies. The journal mainly reports on scientific use, transformation, conservation of energy, energy transfer, thermodynamics and other research achievements related to energies. OA Journal - Environmental Research and Public Health is an international Open Access journal which aims to communicate to its readers, state-of-the-art technologies and methods on all aspects of environmental research and public health. The journal mainly reports original articles, critical reviews, research notes, and short communications in the area of environmental and public health. OA Journal - Sustainability is an international Open Access journal which aims to communicate to its readers, state-of-the-art technologies and methods on all aspects of sustainability. The journal welcomes original researches, reviews and important applications. The journal mainly reports on the research achievements of the environmental, economic, social, cultural and other dimensions of sustainability. OA Journal - Molecules is an international Open Access journal which aims to communicate to its readers, state-of-the-art technologies and methods on all aspects of molecules. The journal welcomes original researches, reviews and important applications. The journal mainly reports on the research achievements of molecular ion, molecular modelling, molecular orbital, molecular biology, molecular design software, molecular engineering, molecular geometry and so on. 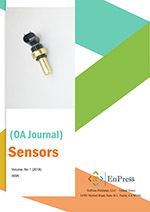 OA Journal - Sensors is an international Open Access journal which aims to communicate to its readers, state-of-the-art technologies and methods on all aspects of sensors. The journal welcomes original researches, reviews and important applications of sensors related analyses. The journal mainly reports on the research achievements of acoustic, sound, vibration, automotive, transportation, electric current, electric potential, magnetic, radio, ionizing radiation, subatomic particles, and other aspects of sensor technologies. 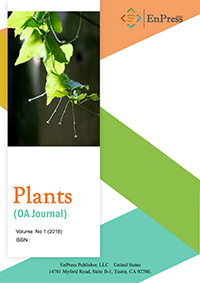 OA Journal - Plants is a peer-reviewed journal. The focus of the journal is to publish articles related to the current trends in research. This journal provides a platform with the aim of motivating people in Botany and Phytochemistry Research and Development. This journal publishes the best research on plants — from their evolution, development, metabolism and environmental interactions to their societal significance. All editorial decisions are made by a team of full-time professional editors. 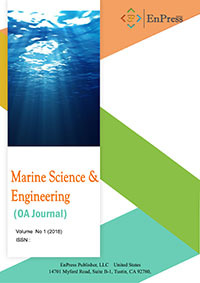 OA Journal - Marine Science & Engineering is an open-access international journal dedicated to the latest advancements in marine science and engineering. The goal of this journal is to provide a platform for scientists and academicians all over the world to promote, share, and discuss various new issues and developments in different areas of marine science and engineering. 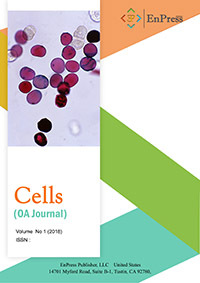 OA Journal - Cells is an international, peer-reviewed open access journal which provides an advanced platform for studies related to cell biology, molecular biology and biophysics. It publishes reviews, research articles, communications and technical notes. Our aim is to encourage scientists to publish their experimental and theoretical results in as much detail as possible. This journal covers all topics related to cell biology, molecular biology and biophysics. Cell Structure: organelles; cytoskeleton; cell membrane; genetic material; capsule; flagella etc. Cell Functions/Processes: cell growth, metabolism; protein synthesis; division; movement of proteins; active/passive transport; cell signaling; adhesion; DNA repair etc. Research Techniques: observation; purification; cell culture; transfection etc.